China possesses nuclear weapons, a range of ballistic missile capabilities, and the ability to develop chemical and biological weapons. A key uncertainty is how current military modernization efforts will ultimately reshape China's strategic nuclear capabilities. China is diversifying and modernizing its nuclear arsenal, and U.S. officials and experts remain concerned about the lack of transparency surrounding China’s nuclear arsenal and doctrine. U.S. deployments of missile defenses, the weaponization of space, and cyber warfare capabilities will likely influence China’s future military development. Jeffrey Bean, “New START is Not About China,” Center for Strategic & International Studies, 15 December 2010, www.csis.org. See U.S. Federal Register, or “Nonproliferation Sanctions,” U.S. Department of State, www.state.gov. "中华人民共和国政府声明 [Declaration of the Government of the People's Republic of China],"Renmin Ribao, 16 October 1964, www.xinhuanet.com. Yunhua Zou, “China and the CTBT Negotiations,” Center for International Security and Cooperation, December 1998, http://fsi.stanford.edu. Hans M. Kristensen and Robert S. Norris, “Chinese Nuclear Forces, 2018,” Bulletin of Atomic Scientists, 74, No. 4 (25 June 2018), p. 289-90. U.S. Department of Defense, “Annual Report to Congress: Military and Security Developments Involving the People’s Republic of China,” 16 May 2018, www.defense.gov. Ann MacLachlan and Mark Hibbs, "China Stops Production of Military Fuel: All SWU Capacity Now for Civil Use," Nuclear Fuel, 13 November 1989. The 1987 data is from a personal communication to one of the authors of the Albright report from Hibbs, who was told in turn by the head of the China Nuclear Energy Industry Corporation, www.world-nuclear.org. No updated estimates on HEU production since the 2013 report: “Global Fissile Material Report 2013: Increasing Transparency of Nuclear Warhead and Fissile Material Stocks as a Step Towards Disarmament," 2013, p. 13, 20, www.fissilematerials.org; Hui Zhang, “China’s Fissile Material Production and Stockpile,” International Panel on Fissile Material, December 2017, p. 2, 29-30. www.fissilematerials.org. Joby Warrick and Peter Slevin, “Libyan Arms Designs Traced Back to China,” Washington Post, 15 February 2004, www.washingtonpost.com. 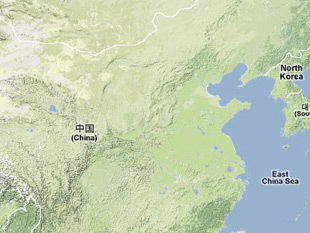 Seymour Topping, “China Tests Atomic Bomb, Ask Summit Talk on Ban; Johnson Minimizes Peril,” New York Times, www.nytimes.com. U.S. Department of State, “China in the Nuclear Suppliers Group (NSG),” Assistant Secretary for Nonproliferation, John S. Wolf’s testimony before the House International Relations Committee, 18 May 2004, http://2001-2009.state.gov. International Atomic Energy Agency, “Factsheets and FAQs,” Accessed on 17 June 2014, www.iaea.org; Permanent Mission of the People’s Republic of China to the UN, “Report of China on the Implementation of NPT,” 2-27 May 2005, www.china-un.org; International Atomic Energy Agency, “Statement by Mr Ma Xingrui, Chairman of China Atomic Energy Authority, 57th General Conference of the IAEA,” 16 September 2013, www.iaea.org. Information Office, State Council of the People's Republic of China, "中国武装力量的多样化运用 [The Diversified Employment of China's Armed Forces]" 16 April 2013, www.xinhuanet.com. For some of the debate surrounding the meaning of the 2013 white paper, see: Fravel M. Taylor, “China Has Not (Yet) Changed Its Position on Nuclear Weapons” The Diplomat, 22 April 2013, http://thediplomat.com; James Acton, “Debating China’s No-First-Use Commitment: James Acton Responds,” Carnegie Endowment for International Peace, 22 April 2012, http://carnegieendowment.org; Gregory Kulacki, “China Still Committed to No First Use of Nuclear Weapons,” All Things Nuclear, Union of Concerned Scientists, http://allthingsnuclear.org; Gregory Kulacki, “Reconceiving China’s No First Use Policy,” All Things Nuclear, Union of Concerned Scientists, http://allthingsnuclear.org; Ministry of National Defense, “China’s Military Strategy,” May 2015, www.eng.mod.gov.cn. U.S. Department of Defense, "Military and Security Developments Involving the People's Republic of China 2015," April 2015, p. 31, www.defense.gov. Anupam Srivastava, "China's Export Controls: Can Beijing's Actions Match Its Words?" Arms Control Today, November 2005, www.armscontrol.org. Bill Gertz, "Albright Concedes 'Concern' Over China-Iran Transfers," Washington Times, 24 January 1997, p. 6, www.washingtontimes.com. Ministry of National Defense, People’s Republic of China, “Arms Control and Disarmament,” Accessed 17 June 2014, http://eng.mod.gov.cn. U.S. Department of State, "Adherence to and Compliance with Arms Control, Nonproliferation and Disarmament Agreements and Commitments," June 2015, www.state.gov. Eric Croddy, “Chinese Chemical and Biological Warfare (CBW) Capabilities,” National Intelligence Council Conference: China and Weapons of Mass Destruction: Implications for the United States, 5 November 1999, www.dni.gov. “The Chemical Weapons Convention,” Ministry of Foreign Affairs of the People’s Republic of China, www.fmprc.gov.cn. Chen, Xu, "General Debate Statement by Ambassador Chen Xu, Head of the Chinese Delegation to the Third Review Conference on the Chemical Weapons Convention," Organization for the Prohibition of Chemical Weapons, 8 April 2013, www.opcw.org. U.S. Department of State, "Development, Production, Stockpiling and Use of Chemical Weapons and on Their Destruction Condition (10) (C) Report: Compliance with The Convention on The Prohibition of The Development, Production, Stockpiling and Use of Chemical Weapons and on Their Destruction," August 2011, www.state.gov; U.S. Department of State, "Development, Production, Stockpiling and Use of Chemical Weapons and on Their Destruction Condition (10) (C) Report: Compliance with The Convention on The Prohibition of The Development, Production, Stockpiling and Use of Chemical Weapons and on Their Destruction," August 2011, www.state.gov. U.S. Department of State, “Development, Production, Stockpiling and Use of Chemical Weapons and on Their Destruction Condition (10) (C) Report: Compliance with The Convention on The Prohibition of The Development, Production, Stockpiling and Use of Chemical Weapons and on Their Destruction," January 2013, www.state.gov. Ministry of Foreign Affairs of Japan, “Budget for the Destruction of Abandoned Chemical Weapons in China,” 24 December 1999, www.mofa.go.jp. “Statement by H.E. Ambassador Zhang Jun, Permanent Representative of China to the OPCW at the 67th Session of the Executive Council,” Embassy of the People’s Republic of China to the Kingdom of the Netherlands, 15 February 2012, www.chinaembassy.nl; The People's Republic of China, "中日就今后销毁日遗化武工作达成共识并作出安排" [China and Japan Reach Consensus and Make Arrangements for the Future Destruction of Abandoned Chemical Weapons] 16 February 2012, www.gov.cn; Ministry of Foreign Affairs of Japan, "日本国政府及び中華人民共和国政府による中国における日本の遺棄化学兵器の２０１２年４月２９日の後の廃棄に関する覚書" [MOU Between the Governments of Japan and the People's Republic of China on the Dismantlement of Japan's Abandoned Chemical Weapons in China after the Initial Deadline, 29 April 2012] 12 April 2013, www.mofa.go.jp; People’s Republic of China “Chemical Weapons Abandoned by Japan in China,” Oranisation for the Prohibition of Chemical Weapons, Third Review Conference, 27 March 2013, p. 1-2, www.opcw.org; “Statement by Ambassador Chen Xu, Head of the Chinese Delegation, at the General Debate of the Twentieth Session of the Conference of State Parties to the Chemical Weapons Convention” Embassy of the People’s Republic of China in the Kingdom of the Netherlands, 30 November 2015, nl.china-embassy.org. U.S. Department of State, “The Administration’s Perspective on China’s Record On Nonproliferation,” Paula DeSutter, Assistant Secretary for Verification, Compliance, and Implementation’s testimony before the U.S.-China Economic Security Review Commission, 14 September 2006, http://2001-2009.state.gov. Information Office, State Council of the People's Republic of China, "China's National Defense in 2010," Editor Wang Guanqun, March 2011, www.xinhuanet.com; China Arms Control and Disarmament Association, “Chinese Nonproliferation Policy and Export Control Policy,” Li Hong, Vice President and Secretary General, 28 August 2013, http://csis.org; Foreign and Commonwealth Office, “‘Bridging the Gap: Analysis of China’s export controls against international standards,” Chin-Hao Huang, 25 May 2012, www.gov.uk. Franz-Stefan Gady, “China Tests New Weapon Capable of Breaching US Missile Defense Systems,” The Diplomat, 28 April 2016, www.thediplomat.com. Shirley A. Kan, "China and Proliferation of Weapons of Mass Destruction and Missiles: Policy Issues," Congressional Research Service, 26 May 2011; “Worldwide Ballistic Missile Inventories,” Arms Control Association, www.armscontrol.org. “Worldwide Ballistic Missile Inventories,” Arms Control Association, www.armscontrol.org; Shirley A. Kan, "China and Proliferation of Weapons of Mass Destruction and Missiles: Policy Issues," Congressional Research Service, 3 January 2014. Philip P. Pan, "China Issues Rules On Missile Exports," Washington Post, 26 August 2002, p. 11. Niels Aadal Rasmussen, “Chinese Missile Technology Control: Regime or No Regime?” Danish Institute for International Studies, February 2007, www.diis.dk; Mary Beth Nikitin, Paul K. Kerr, and Steven A. Hildreth, "Proliferation Control Regimes: Background and Status," Congressional Research Service, 25 October 2012, p. 35, http://fas.org.